Silverleaf College » Website designed and developed by Thomas Alderson. 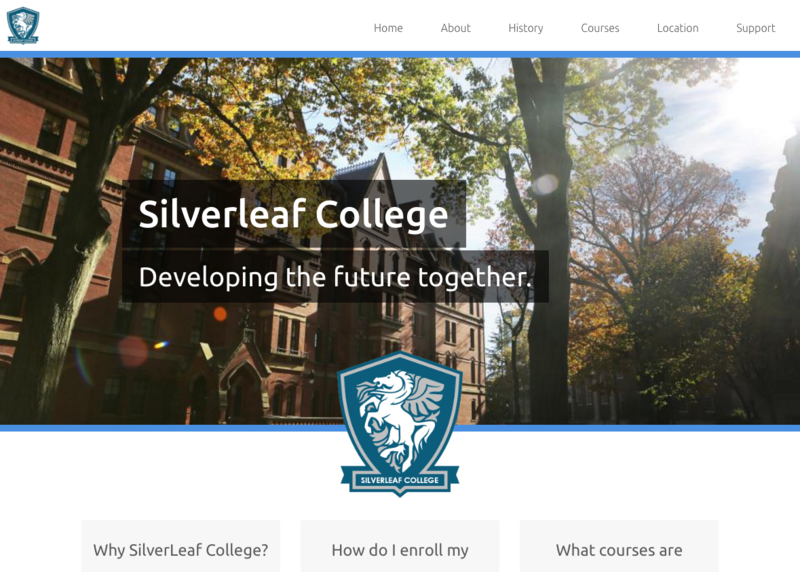 Created in 2016, the Silverleaf College website was created as a frontend example for a web based staff planning application, developed using Ruby on Rails, the application was created to help users organise their staff's weekly plan. The navigation is dynamic and the "Courses" sub-menu changes based on the courses that have been added within the backend of the application.